Risen from the ashes of Sacramental Sachem, Fuelblooded bring their unique brand of melodic death-/thrash metal to the masses since early 2002. Fuelblooded equals variety. Fast versus slow, melodic versus brutal, catchy versus complex, epic versus in-your-face - all these dichotomies have their place in Fuelblooded's music. Add abundant variation in vocal styles for a complete picture. Combined, this makes for the very distinctive and intense kind of music Fuelblooded plays. Fuelblooded is a name from the new Millennium. However, from as early as 1989 up to the beginning of 2002 the band paid their dues by the name of Sacramental Sachem. In 2002, after several line-up changes, Sacramental Sachem decided to change their moniker to Fuelblooded. Small tours with The Defaced (S), Darkane (S) and Arch Enemy (S) followed, as well as the release of the 2002 promo - which sparked international label interest. Continuing line-up struggles forced the band into a decision to record their debut album 'Inflict the Inevitable' as a fourpiece. 'Inflict the Inevitable' was recorded in different phases over the course of 2004. 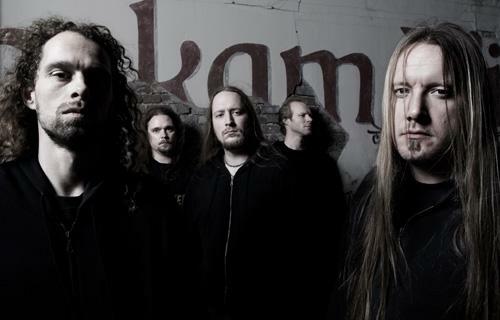 In december of 2004, after the recordings were completed, the band headed off to Denmark, where mixing and mastering duties were fulfilled by Jacob Hansen (Mercenary, Invocator, Raunchy, Communic). The album was released worldwide by Copro Records on March 20, 2006. On 'Inflict The Inevitable', the band take their sound to a new level. Better songs, combined with a lethal production, make 'Inflict the Inevitable' a must-have for all melodic death-/thrash fans. From the fullspeed thrash assault of album opener 'Art of life' and 'Constructive Destruction', via the melodic midtempo crusher 'Measure Swords', to the slow and pounding sound of 'Dissector of Souls': the whole range of sounds is displayed on Fuelblooded’s first full-length album. Strategically placed in the middle of the album is the atmospheric title track 'Inflict the Inevitable', which serves as a perfect interlude to 'Hate of a Thousand Ages' and the rest of the album. Prepare yourself for one hell of a ride! Fuelblooded toured the UK together with Dutch melodic deathstars Detonation in May 2006. Shows with Decapitated and Six Feet Under, among others, followed while touring the Dutch clubcircuit extensively. Shows with Gorefest and Textures are lined up for the latter part of 2006. September 2006 marked the end of the co-operation with vocalist Vital Welten. He was almost immediately replaced by Peter Brinkman, of Aura (nl) and Zilver (among others) fame. Fuelblooded will continue to tour in support of the release of 'Inflict The Inevitable' for the remainder of 2006. At the same time the band is working hard to write the material for the upcoming sophomore album. With new vocalist Peter Brinkman aboard the future is looking bright!